As you will probably know, in May 2019 we have a tour to the “Leisurely Loire Valley” in our programme. The Loire Valley region is an enchanted land of vineyards, floral gardens and rolling green hills, studded with story book villages, historical towns and the famous chateaux. It also has a wealth of architectural heritage including some of the world’s finest cathedrals and is one of the great wine regions of France. 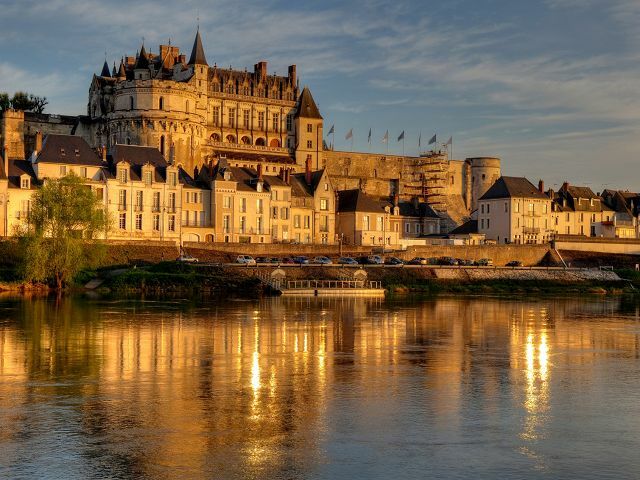 The tour takes you along the Loire River from Orleans to Angers and you can stop to visit the castles, wander through the beautiful gardens or just cycle along the river. On our website you can now watch a short video showing some of the famous castles and their gardens. During 2019 the Loire Valley will be celebrating the 500th anniversary of the Renaissance, commemorating the beginning of the construction of the Château of Chambord, the death of Leonardo da Vinci at Amboise, and the birth of Catherine de Medici in Florence. The Loire region, its kings, gardens, river and its valley dotted with castles is considered as the cradle of the Renaissance in France. Historical figures such as Francis I, Catherine de Medici, Leonardo da Vinci and Anne de Bretagne lived here and contributed to the development of the Renaissance in the region and stimulated artistic creation, philosophy, science and literature. The Châteaux of the Loire are probably more beautiful testimony. To celebrate the 500thanniversary, a cultural programme is currently being put together composed of different highlights which will cover major themes from the Renaissance in many different areas like arts and literature, music, gardening, science and technology, architecture, craftsmanship and gastronomy and will include a large travelling digital show mixing contemporary artistic and musical creation, guided tours and, many exhibitions etc. The programme has not yet been finalised but is sure to make a visit to the Loire Valley in 2019 just that little bit more special. This entry was posted in Leisurely Loire Valley, Newsletter and tagged Accompanied Motorhome Tours, Begleitete Wohnmobilreisen, Escorted motorhome tours, European Motorhome Tours, Geführte Wohnmobilreisen, Leisurely Loire Valley Escorted Motorhome Tour, Newsletter, Touring France with your camper van, Touring France with your Motorhome. Bookmark the permalink.